EPCOT Center was opened on October 1, 1982, three years to the day that ground had been broken on the project. EPCOT Center’s history, however, dated back to before the death of Walt Disney, when the project had known as EPCOT, or the Experimental Prototype Community of Tomorrow. When the venture was restructured as a theme park and announced in 1978 it was the largest development ever undertaken by Disney. Speaking on World Showcase, Card Walker, then President and Chief Executive Officer of Walt Disney Productions, told the 26th World Congress of the International Chamber of Commerce, “The World Showcase will be a community of nations, the only permanent international exposition of its kind anywhere, focusing on the culture, traditions, tourism and accomplishments of people around the world. A model for true people to people exchange, the World Showcase will offer participating nations an opportunity to send their outstanding young adults to operate attractions, shops, restaurants and exhibits of their pavilions. And these young people who will work, play and learn together for a period of up to one year will help to generate international understanding.” Though the park opened on October 1, 1982, only Spaceship Earth was dedicated on that day. The park itself was dedicated on the 24th of that opening October, with Future World being dedicated on the 22nd and World Showcase on the 23rd. 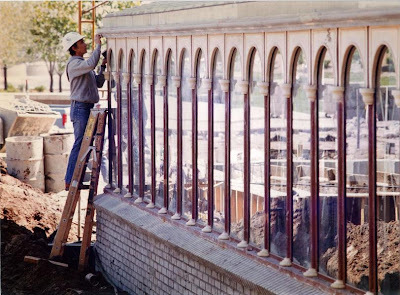 The various pavilions of EPCOT Center were all dedicated separately as well. 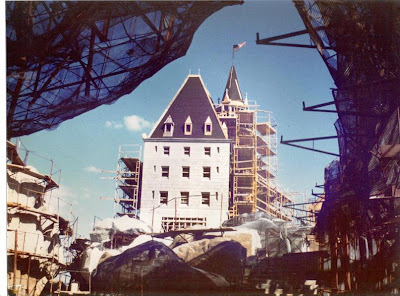 In World Showcase, China was the first pavilion to be dedicated on the 3rd, followed by the American Adventure on the 11th, Canada on the 13th, Italy a day later on the 14th, and Germany on the 15th. 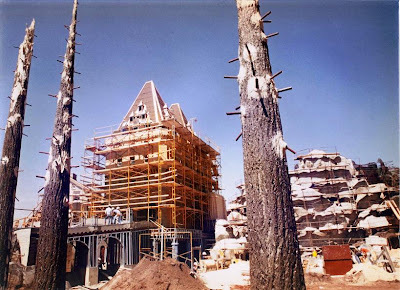 During the week prior to World Showcase’s dedication, the United Kingdom was dedicated on the 19th, Mexico on the 21st, and both France and Japan’s dedications were on the 20th. 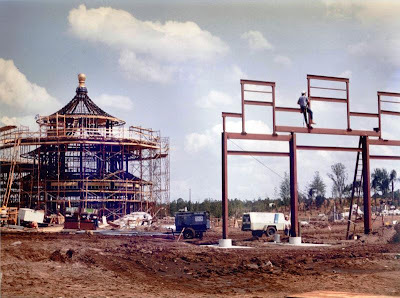 Today’s photographic accompaniment comes from April of 1982, during the construction of EPCOT Center. Specifically pictured are the construction projects of the China, Canada, and France pavilions. FANTASTIC images! Thanks for posting them.